It was a grey day. Dark and overcast. 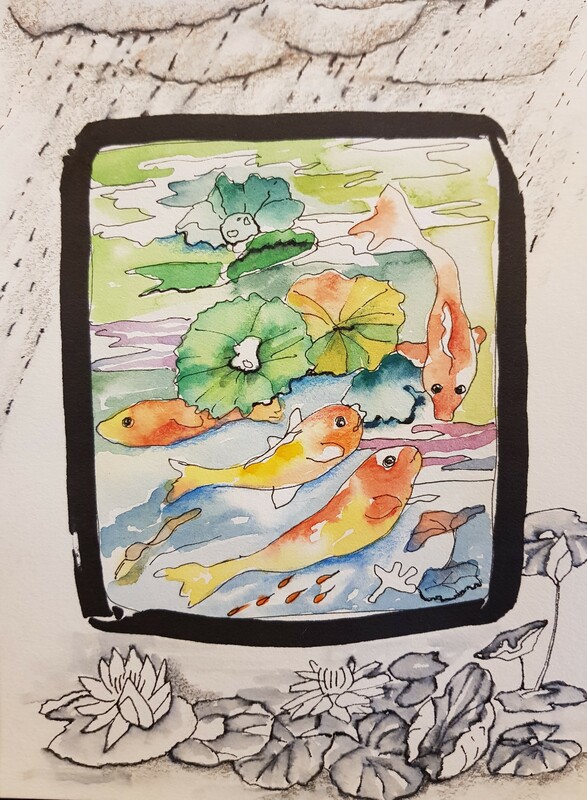 I went to check on the Koi fish to see how they were doing and reassure myself that their pond had not overflown with the incessant night rain. There was nothing in sight barring some bedraggled water Lillies and fat, round Lilly pads, collecting water… And then, as if on cue, a vibrant cloud of Koi appeared from under the leaves… Gorgeous, pure, graceful and languid…. Totally unaware of the surrounding drab and muddy weather, they were just sure of their own purpose… That of adding a spark to the environment in which they lived and in the only way they knew how 😊!